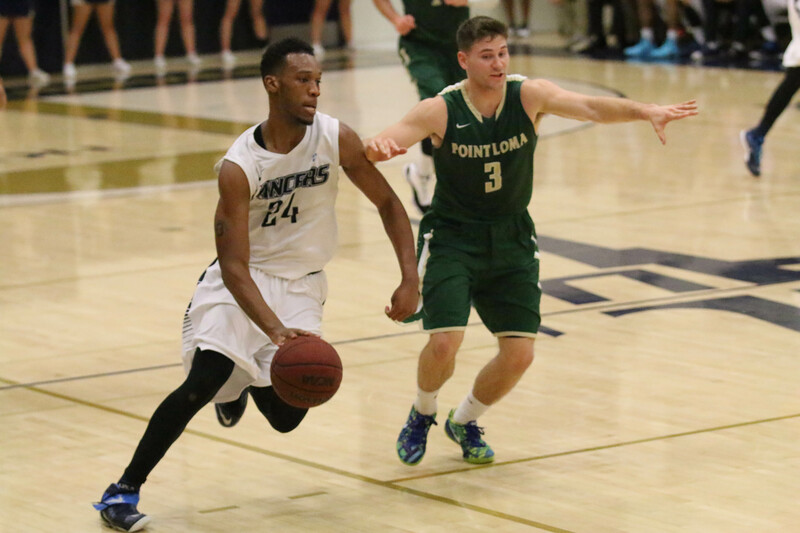 Finding a home and community at California Baptist University, Taj Spencer, junior communication studies major and forward for the men’s basketball team, wakes up every day able to see the different ways he has been taught to have a stronger game and personal code of conduct. Raised in Moreno Valley, California, Spencer began playing basketball at a young age. Both of his parents played basketball–his father spent time in the NBA–and their years of experience inspired him to start playing, as well. Prior to coming to CBU, Spencer played for one season at Pasadena City College, where he earned All-South Coast Conference honors. He said his time spent at his previous school was a good experience and helped him develop his skills, but coming to CBU has aided him in honing his skills. Perfecting his skills has paid off as he has already claimed the PacWest Conference Player of the Week award for averaging 20 individual points and nine rebounds per game. He also scored a career-high 22 points against Dominican University of California and Academy of Art University. Croy said Spencer is able to play well both on defense and offense, which gives him an edge in scoring points. Spencer said he is appreciative of the lessons God and all of his coaches have taught him. Croy said he has noticed God teaching Spencer a few valuable lessons since coming to CBU.